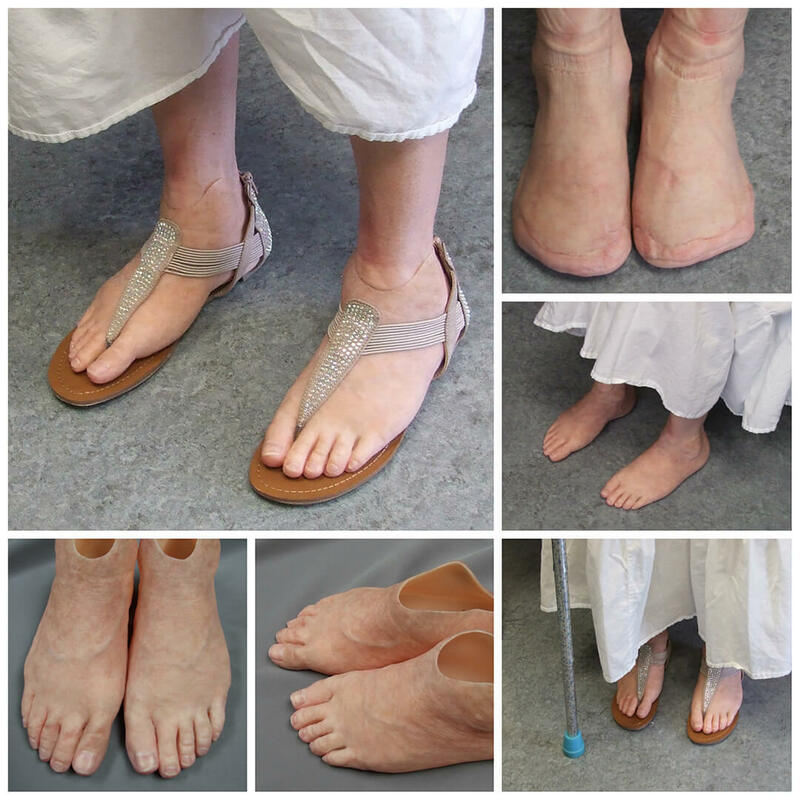 Our patient tries on her new foot/toe prosthetic. She slides on sandals with confidence for the first time in years. We are thrilled for her to be able to wear shoes that expose her feet and toes again. Client’s ingrown toenail lead to an infection which ultimately resulted in the amputation of her toe. 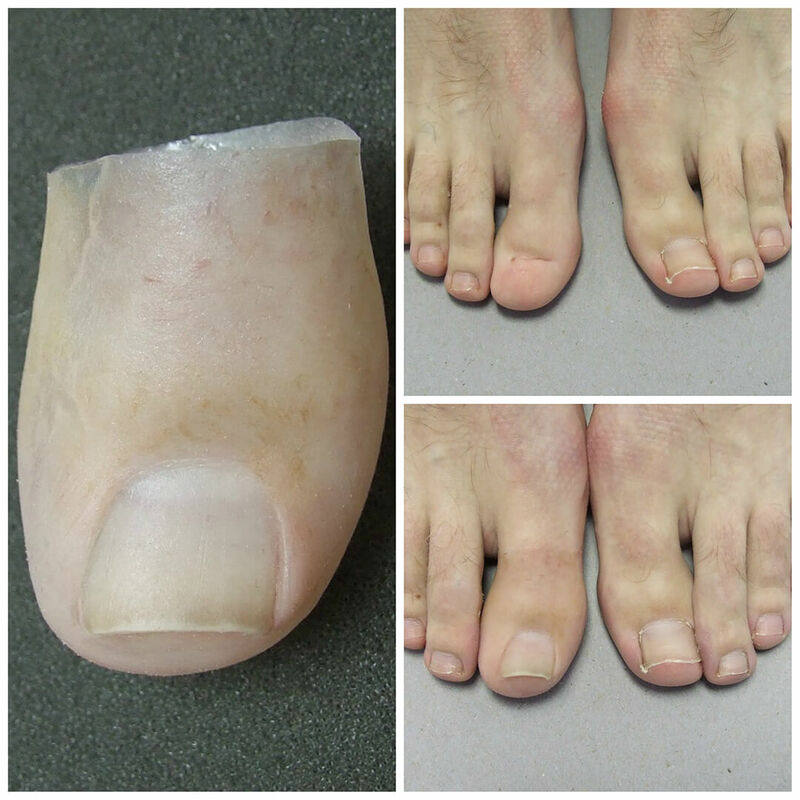 The prosthesis incorporates an acrylic nail for her to customize as she wishes. The prosthesis is retained using adhesive.